At the highest echelons of tennis, a few names stand out. Dominating the rankings, these famous big hitters are unarguably among the finest players in the world, with multiple Grand Slams to their credit. But how do today’s champions compare with those of earlier eras? From ‘Big’ Bill Tilden and Pancho Gonzalez to Rod Laver and Pete Sampras, who makes the grade as the greatest male singles player of all time? 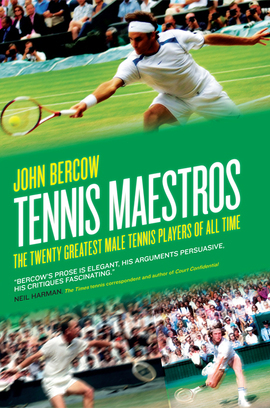 Better known as the Speaker of the House of Commons, John Bercow has enjoyed a successful dual career in the tennis world as competitive junior player and qualified coach. Ideally placed to argue the merits of the maestros, in this fascinating guide he sets out to determine just who is the greatest of the greats. Bercow's prose is elegant, his arguments persuasive, his critiques fascinating. An excellent and enjoyable read.